A Trumbull man has been convicted of setting fire to his home just before Christmas four years ago to collect insurance money. Randal Licari, 50, was convicted of arson, larceny and insurance fraud and faces up to 70 years in prison. Licari, a former supervisor for the New York Department of Environmental Protection, was accused of setting fire to his Cape Cod-style home on Dec. 16, 2002, while his wife and two children were away. The fire destroyed the home and the Licaris claimed they lost their children’s Christmas presents in the blaze. Neighbors rallied around them, getting the children new presents. 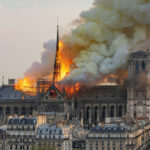 The Licaris also claimed to have lost a large-screen television and expensive camera equipment among other possessions in the fire. They collected more than $350,000 from their insurance company. They subsequently rebuilt a much larger house on the site. The fraud case was brought after New York investigators picked up Licari’s 26-year-old daughter, Heather, during a homeland security probe. While being questioned, the daughter said her father had set fire to his house because he was having financial difficulties. At her father’s trial, Heather Licari testified that six days before the fire her father had come to her and asked to use her driver’s license because he was intending to set the fire and wanted to use her license to rent a storage facility in Newtown for the items he did not want burned. Licari is to be sentenced Jan. 5, 2007. "They" should look at the father and brother too!!! do you seriously think that honor was the primary motivator in a woman under scrutiny by Homeland Security?